First developed in the 1930s the Consolidated PBY was built to fulfill a US Navy requirement. The PBY is an amphibian capable of operating from land or sea. 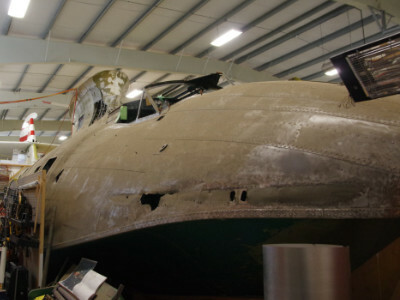 The Museum’s PBY was built for the US Navy in 1942. After being retired from Navy service it flew with various air cargo companies in the Caribbean before being bought by Eastern Provincial Airways. 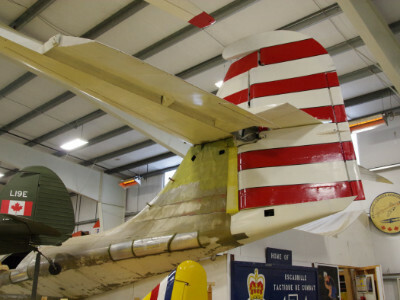 In 1957 it crashes in Labrador and remained there until recovered by our Museum with the aid of a 450 Squadron RCAF Chinook helicopter. 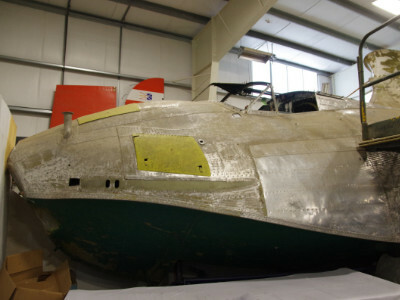 Our PBY is being refinished in the EPA colours it wore on its last flight.